Exercise for appearance or performance often takes a back burner to getting (and keeping) our body healthy. National Heart Health Month is a great time to incorporate ways to improve heart health with exercise. Heart disease and stroke remain the number one killers of men and women. However, many of the causes of heart disease are within our control. Here’s what you need to know about exercise and heart health. Assuming you’ve already scheduled a visit with your doctor and know how much you should worry about heart disease, your next step is to manage your lifestyle, including diet and exercise. Exercise is not created equal when it comes to your heart. Exercise needs to occur frequently and with sufficient intensity to create an aerobic demand on the cardiovascular system. If you are carrying extra abdominal fat, an important risk factor for metabolic syndrome and heart disease, the most effective forms of exercise will also target reduction in this area (yes, that’s possible!). While strength and flexibility training are important parts of a well-rounded exercise program, when it comes to training your heart, cardio is where it’s at. Heart healthy exercise can range from a comfortable walk at an aerobic pace to full on intense intervals. If your primary goal is to support a healthy cardiovascular system, any of these types of exercise will do. Treadmill walking and running, elliptical training, pool workouts, and indoor cycling are all great ways to target your cardiovascular system. Very intense yoga and barre classes can also put you into cardiovascular training for at least part of the class. If you’re wondering about strength training and whether it counts as heart healthy, the answer is maybe. Heart healthy strength training is done at a sufficient intensity and duration to put you into your aerobic zone (3 minute rests between sets don’t count). Bootcamps, strength classes, and circuit style training often meet this format. However, Powerlifting and Bodybuilding workouts are unlikely to significantly benefit your heart. Simply working into your aerobic training zone is all that’s required to make a workout heart healthy. You can also increase intensity for more efficient workouts or to progress towards weight loss or performance goals. Training with a heart rate monitor is a helpful way of monitoring your intensity so that you can intelligently plan your workouts. 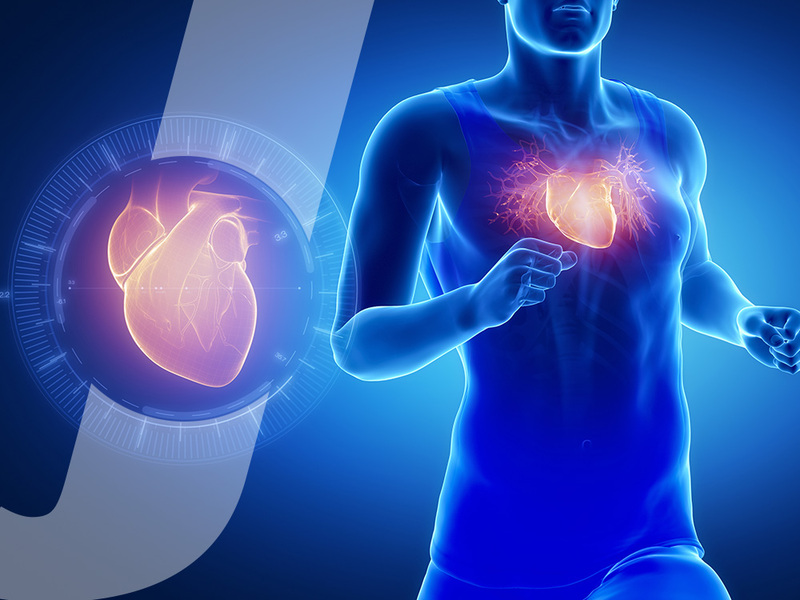 Knowing your heart rate max, plan on workouts of 70-80% of your max heart rate if you are looking to increase your endurance, maintain heart health, assist in weight maintenance, and simply build or maintain a base for running, cycling, or other exercise. Workouts that include intervals of 85% or above target anaerobic and lactate thresholds more specifically. This makes them more effective at increasing calorie burn post workout and pushing your heart to become more efficient and stronger. Include them twice per week in your training to support bodyfat loss and improve metabolism. These workouts will also let you accomplish more training in less time, which is helpful if you don’t have a lot of time for long walks or runs. The basic guideline for heart healthy exercise is to complete 150 minutes per week of moderate exercise, shooting for 30 minutes most days of the week. If you workout vigorously, as described above, you can cut that time in half. However, it’s important to make sure you stay active throughout the week. Extra weight, especially in the abdominal area, tends to slow down your metabolism. Frequent workouts can help you overcome this. Saving workouts for the weekends will lead to metabolic slow down throughout the week. This makes it easy to gain weight, even if you don’t increase your calories. Additionally, many of us tend to eat more on the weekends and reward ourselves on days we work out. Doing this will counteract weight loss efforts. While weekends are great for a long run or bike ride, make sure to include some activity every day. Try including small activity breaks of ten minutes throughout your day to help keep your metabolic systems fully functioning. Remember that taking care of your heart through exercise doesn’t have to be overwhelming. Choose the level of intensity and the activity that are most enjoyable for you. Whether that’s small activity breaks throughout your day, or intense interval training several days each week. The best workout plan for heart health is the one that you will stick to each and everyday.